Dr Tariq Rahman was a guest speaker at Lahore School of Economics on Sunday November 26, 2006. He gave a presentation on Language, Politics and Power. 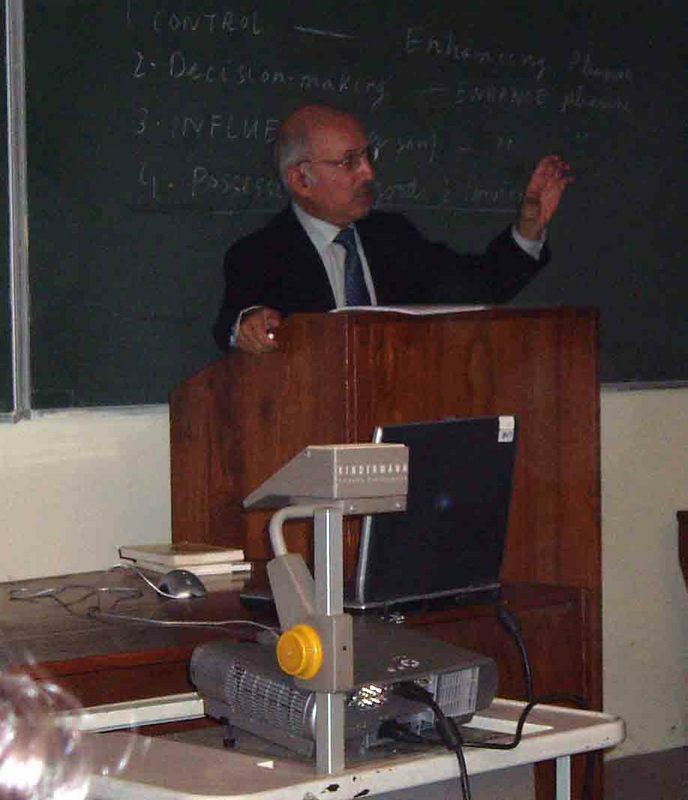 Dr. Tariq Rahman, MA, M.Litt, and Ph.D from British Universities, is a professor of Linguistics and South Asian Studies at Quaid-i-Azam University Islamabad. He has been Fulbright Scholar and a guest speaker in several American Universities. He has also been a guest professor at the University of Aarthus in Denmark. Abacus Consulting, ABN AMRO Bank, Aftab Associates, Al Baraka Islamic Bank, Asian Development Bank, Asian Food Industries, Askari Commercial Bank, Attock Oil Refinery Limited, Bank Alfalah Limited, Bank of Punjab, Buraq Telecom, Caltex Oil Pakistan, Citibank N.A, Coca Cola Pakistan, Crescent Investment Bank, Daily Times, Descon Engineering, Deutsche Bank, Diallog Telecom, Evenement, Fauji Fertilizers, Fauji Foundation, Faysal Bank, Glaxo Smith Kline Pakistan, Habib Bank Limited, Haleeb Foods, HSBC Bank, ICI Pakistan Limited, Interflow Communications, J. Walter Thompson (JWT) Asiatic, Kashf Foundation, Khadim Ali Shah Bukhari & Co, KSB Pumps Limited, Levi’s Strauss & Company Pakistan, Maersk Pakistan, Mashreq Bank, Mezan Bank, Midas Advertising, Mobilink, Muslim Commercial Bank, National Bank of Pakistan, Nestle Pakistan, NIB Bank, NIMIR Chemicals Pakistan, Nirala Dairies Pvt Limited, Nirala Sweets, Nishat Group, Orient MacCann Erickson Pakistan, Orix Leasing Pakistan Limited, Packages Limited, Pak Oman Investment Bank, Pakistan State Oil, Pakistan Tobacco Company, Pak-Kuwait Investment Company, Paktel, Pepsi Cola Pakistan, Petronas Oil Company, PIA, PICIC Commercial Bank, PICIC Investment Bank, Pizza Hut Pakistan, Prime Commercial Bank, Procter & Gamble Pakistan, Qarshi Industries Limited, Saudi Pak Investment Bank, SB&B Market Research Firm, Shell Pakistan, SMEDA, Standard Chartered Bank, State Bank of Pakistan, Syed Engineers, Telenor Pakistan, Tetrapak Pakistan, Thai Airways, The Dawn Newspaper, The Nation Newspaper, TOTAL PARCO Pakistan Ltd, U.S Apparel & Textile Pvt. Limited, Ufone, Unilever Pakistan, Union Bank Limited, United Bank Limited, Warid Telecom, Wateen Telecom and World Call. ABN AMRO Bank, Dubai, UAE, Abu Dhabi Commercial Bank, UAE, Arabian Packages, Dubai, UAE, Assurance & Advisory Business Services (AABS), Dubai, UAE, Bank of Kuwait, Qatar, Bank One, USA, Bestway, UK, Bureau Veritas, Abu Dhabi, UAE, Diamond Leasing, Dubai, UAE, Dofreeze LLC, Dubai, UAE, Dubai Development Investment Authority, UAE, General Electronics, Dubai, UAE, Habib Bank, USA, KPMG, Saudi Arabia, PNC Bank, USA, PriceWaterHouse & Coopers, UK, Procter & Gamble, Saudi Arabia, RBC Financial Group, Canada, Saint George Bank, Australia, SAMCO, Saudi Arabia, Standard Chartered Bank, Dubai, UAE, UBL, Dubai, UAE and Universal Health Care Center, USA. 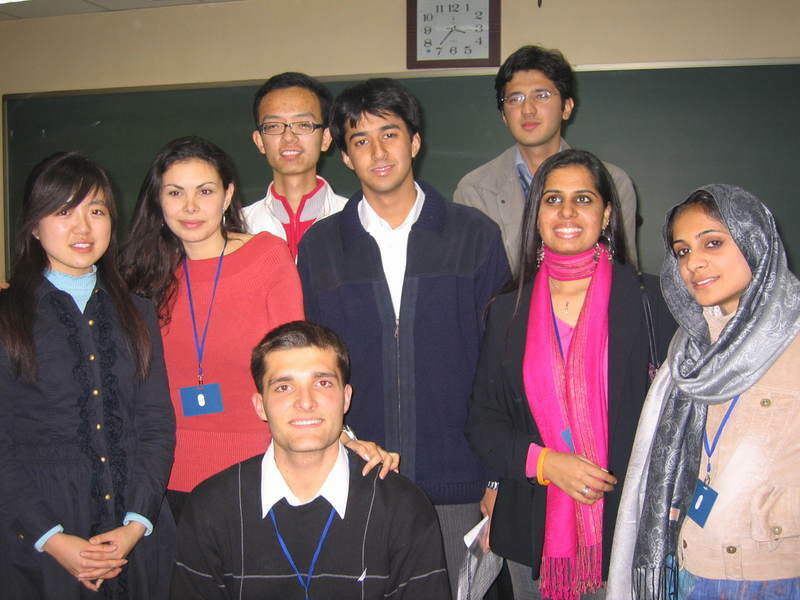 The Lahore School of Economics team obtained third position (after Bulgaria and the USA) in international debating competition held at Beijing Foreign Studies University from November 6-14, 2006. Governor Punjab Lieutenant General (Retd) Khalid Maqbool who is also the Patron of Lahore School of Economics conferred degrees to successful students of the Bachelors and Masters programms at the Sixth Convocation of the Lahore School of Economics on November 20, 2006. Addressing the convocation, General Khalid Maqbool highlighted the success of the Lahore School in terms of the Lahore School graduates’ performance in the corporate sector and the Lahore School’s innovations in advancement of higher education particularly in economics and business administration. He also said that the Pakistani government was spending more than rupees 22 billion per annum to promote higher education in Pakistan. Lahore School has added another 12 auditoriums at the Main Campus bringing total seating capacity to 1500 students at one time and more libraries that makes Lahore School’s Burki Campus a serious and pleasant academic environment. 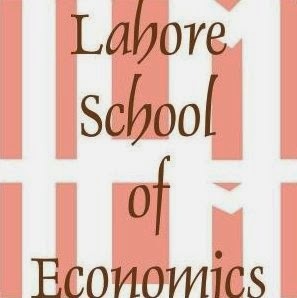 “The Lahore School of Economics also has endeavored to strengthen its research capacity by holding an Annual Conference on the Management of the Pakistan Economy. Our first two conferences were a major success and the third conference on “second Generation Economic Reforms Sustaining Growth and Equitable Development” will be held on May 2-3, 2007. The Lahore School’s academic journal in Pakistan today- as judged by the Higher Education Commission – and we want to thank its Editors and Advisory Board for their excellent efforts in this regard. The Research Centre and the Lahore School’s entire Faculty will have their own research efforts strengthened by working with students on their final research projects,” added the Rector. The governor was welcomed by M. A. K. Chaudhry, the Chairman Board of Governors, Lahore School of Economics. The Chairman said, “The Board of Governors has endeavored to make sure that the Lahore School’s Scholarship Progarmmes enable deserving students to study at the Lahore School and the School spends more than rupees two crores annually in scholarships to benefit 15 to 20 percent of its student body. The convocation was attended by students their parents, faculty as well as academia at the Main Campus of Lahore School of Economics that is spread over 25 acre area.